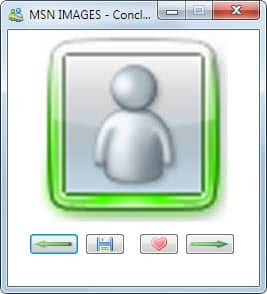 Microsoft’s instant messenger, which is currently called Windows Live Messenger, offers no option to directly save profile pictures to the local computer system. While it is possible to use a screen capturing software for that, it is a lot easier to use a program like MSN Images for the task. This entry was posted on Tuesday, February 1st, 2011 at 11:28 am	and is filed under software evaluation. You can follow any responses to this entry through the RSS 2.0 feed. Both comments and pings are currently closed.